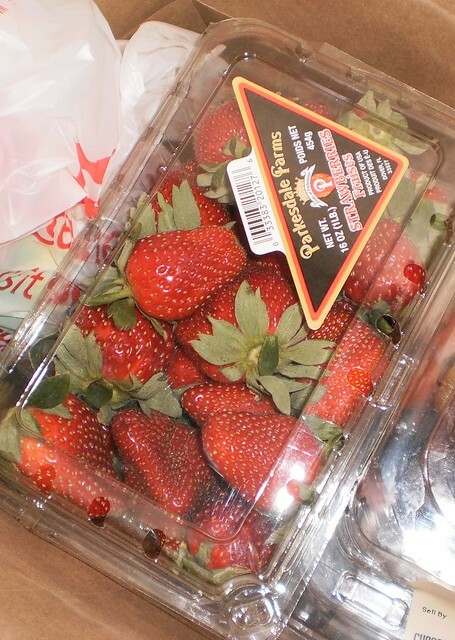 Jessie posts to Facebook that she's really craving strawberries on the day I am planning a grocery run. Somehow, these found their way into my basket, right next to the slice of chocolate cake. Strawberries right now are kind of soft, particularly the ones on the bottom of the box. But they are better than a bag of chips, that's for sure. Yay!! I bought some organic ones at Super Target yesterday that are perfect!! And the strawberry/nutella waffles were AMAZING! YUM!